Mindful Living. What is it all about, & why should you consider it? A mindful life is well worth the effort. It’s a life where we get off autopilot & into the driver’s seat in our life — mind + body. It’s about fewer moments lost in social media, rehearsing future events or worrying about if you said or did the right thing at this morning’s meeting. It’s about being more in the present versus the past & future. It’s worth the effort, because getting off autopilot & coming into the moment means you’re not missing life, you’re more conscious of what’s going on inside you as it happens. In turn, this means you can make more conscious choices rather than reacting impulsively. Mindful living isn’t just one thing, like breathe work or meditation. It involves bringing mindful awareness to routine activities we do daily, such as our first sip of coffee. It can be a formal walking meditation. 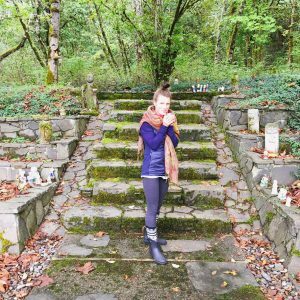 It’s about attending to our life & developing a meditation practice that can fit into the time & space we’re allotted (as a mom with 2 toddlers, this is 12-15 mins a day before they wake up). It’s about so much more than just sitting for 60 minutes a day in meditation (though we do know from many research studies this practice has a plethora of benefits!). Join Sally in a group meditation session, a semi-private meditation session, a 1-on-1 mindfulness based intervention for kids, teens, adults, couples or family, or for community workshops. Learn more by contacting WHyyc today.